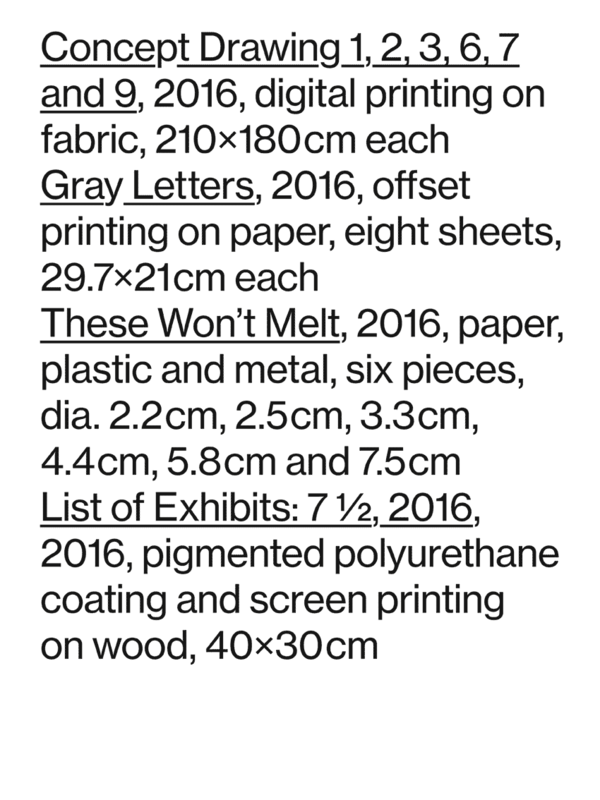 List of Exhibits: 7½, 2016 (2016), created for the exhibition 7½: Cryptographic Imagination 4 — Sulki and Min, curated by Oh Sunyoung (Song Bok-eun Foundation, Seoul, 27 August–1 October 2016). Pigmented urethane and screen printing on wood, 300 x 400 mm. We decided that, for each exhibition we participated in, we would make a piece that lists all of our works in the exhibition. It would include basic information such as title, medium, size, and date. It would also include descriptions of itself.